Cambo's SCH-U precision-geared movement has important advantages over standard friction-locking ballheads and other 3-d schemes. Minute adjustments are precise and controllable. And because the Tilt movement is spindle geared, it is selflocking. 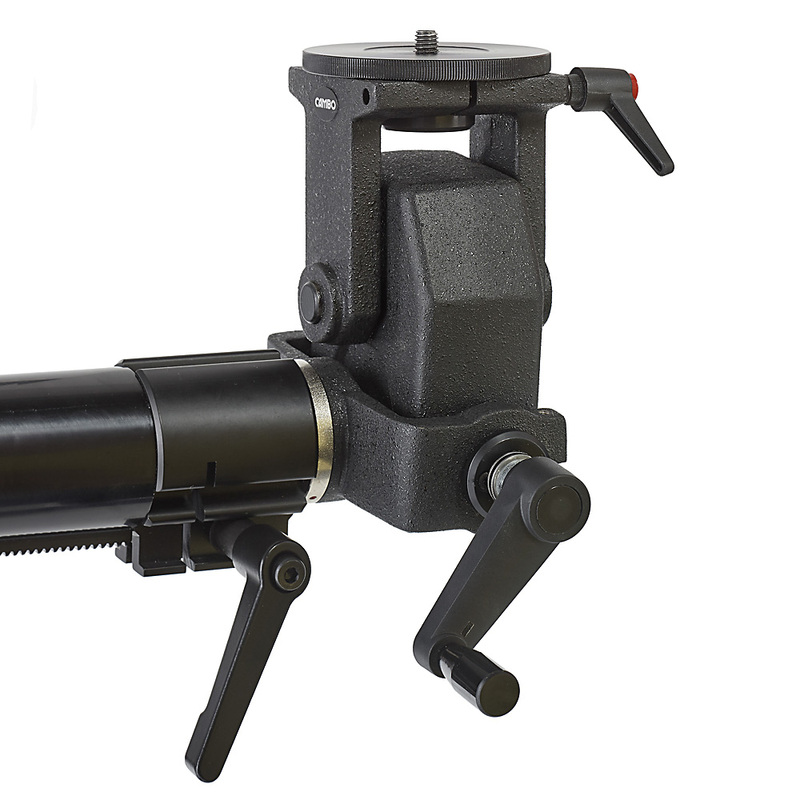 The Cambo 3-D Gearhead provides 140 degrees of selflocking tilt, 90 degrees forward and 50 degrees back. 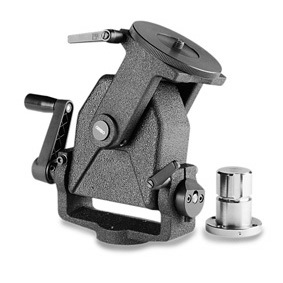 180 degrees manual side-to-side tilt movement features adjustable friction resistance. 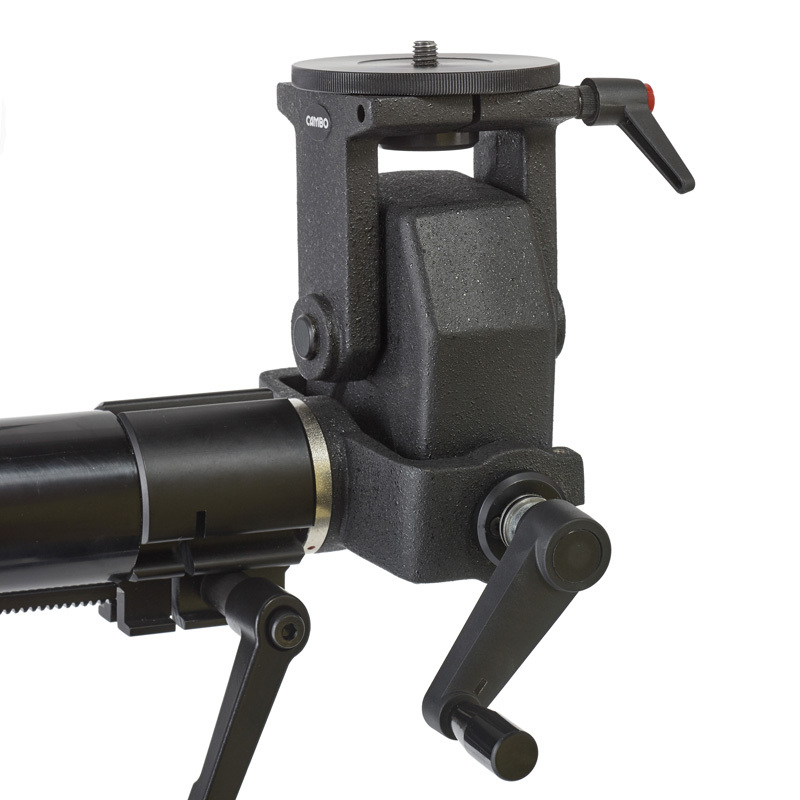 The SCH-U is equipped with the dedicated mount for the UST/UBS accssory system and mounts directly into the U-4 or UBA crossarm.